Red Bee Media has announced that while at NAB in Las Vegas, the company reached record low latency on its live over the top (OTT) feed, hitting a mere 3.5 seconds, glass to glass which is faster than traditional broadcasting feeds. 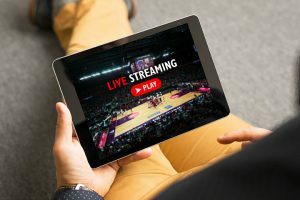 On the second day of NAB Show 2019, Red Bee Media managed to reach a record low latency on its live OTT feed. Having showcased latency at around 10 seconds on Monday at NAB, the OTT team brought it down to as low as 3.5 seconds on Tuesday morning, 8 April. The feed is created with a live camera transmitting from the NAB trade show floor to its European cloud via the open internet, exploiting the open standard SRT transport protocol. The Red Bee Media Channel Store then processes the live signal for distribution and pushes back to origin and across the content delivery network (CDN) back to Las Vegas utilizing the open standard Chunked CMAF. Red Bee Media is showcasing its managed OTT offering on booth SU1620 at NAB 2019. The Red Bee Media Managed OTT Services is built on a cloud-based technology and utilises open standards wherever possible. It supports a wide array of use cases, including premium live events, linear channels, catch-up and video on demand with a full range of monetisation options and in-depth audience insights. In the effort of decreasing latency for its live OTT feed, Red Bee Media has worked with Haivision and Anevia.